Fiercely surfed elimination Repechage Rounds brought the world’s best longboarders one step closer to Gold on the second day of competition at the 2018 ISA World Longboard Surfing Championship in Wanning, China. 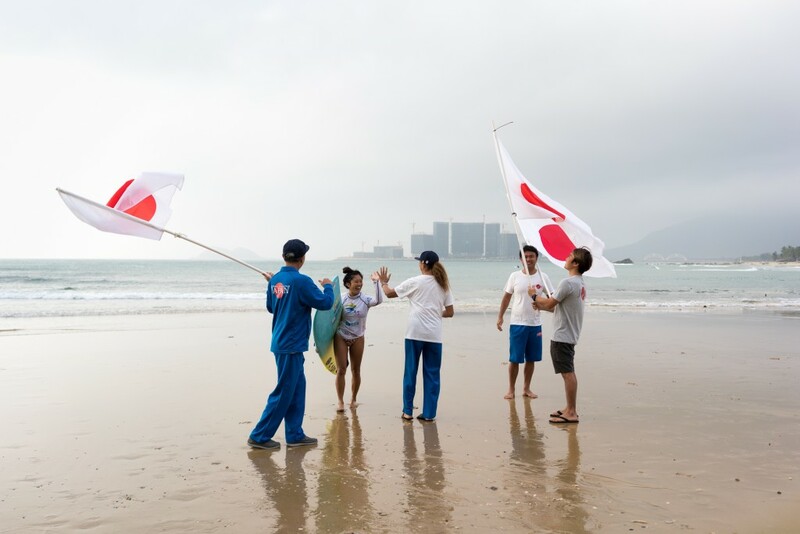 The first eliminations of the event progressed the rounds through to the Main Event Semifinals for the Women and Quarterfinals for the Men, setting the stage for an epic tail end of the competition to resume when more swell arrives later in the week. Peru’s Maria Fernanda Reyes was the standout performer of the day, linking up a long wave with multiple hang ten maneuvers in the opening Main Event Round of the morning. Illustrating the high level of women’s surfing at the event and her intentions to go for Gold, Reyes’ 9-point wave score was the highest of the day. The honors of highest heat total went to Brazil’s Chloe Calmon, who earned a 15.5 in her Main Event heat. China’s Huang Wei continued his impressive showing in the event for the host country of China. Wei’s performance has pushed Chinese surfing to new frontiers as he advanced through Repechage Round 2, keeping his hopes of earning China’s first ISA medal alive. After the first round of eliminations, two teams remain unscathed with all their surfers remaining in the competition. USA and Australia still have four surfers and will go neck and neck heading into the final days. Team Hawaii, only represented by three athletes, also has all their athletes remaining in the competition. Team Chinese Taipei had a successful run in the Repechage Round, as Hai-Hsin Pan and Cheng-Chih Yuan both advanced through the same heat of Round 2. Yuan managed to find the score he needed in the dying minutes and in dramatic fashion kept the Men’s team for Chinese Taipei fully intact. “This is my first ISA event and it’s great to see all the countries come together like a big family,” said Hai-Hsin Pan. “Competing in this environment is more enjoyable than competing in an individual event. Israel’s sole representative in the event, Oded Udi Shomer, fell in the opening Men’s Repechage Round, but Shomer was all smiles as he expressed the great experience that this competition has been for him. “I’ve learned a lot here and I met many good people from all around the world that I can now call my friends,” said Shomer. “Competing with the best surfers in the world has allowed me to see the sport differently, as I can take little tips and pieces of information from everyone. “The Repechage Rounds are what make ISA World Championships unique. Everyone gets two chances to surf. These athletes go to great lengths to be able to travel from their respective countries to compete here, so we make sure that they all get a chance to redeem themselves if they have a bad heat. Many times, our World Champions actually come through the Repechage Rounds. It truly lets the best surfers shine.